If in class we don't get to the peak, that's totally cool! Because everyone has worked hard doing the things that will help them move and function better in the daily activities they do. And that for me is key! Also, my theme for this month is Connection. To me there's no better way to work on Connection than to practice balancing poses. You need pure devotion and focus and connection to the Present Moment so to not topple out. Give it a try and see! Ok, so let's get to the sequence. In the sequence I have created below, there's some core and twisting involved. Feel free to work on those poses and try Side Crow when you get to it, which is the peak pose, or feel free to skip this arm balance until you feel like you have gained the strength and flexibility to give it a shot. And once you get to the Sun Salutations, feel free to integrate and weave the poses that come after it into your Sun Salute flow. 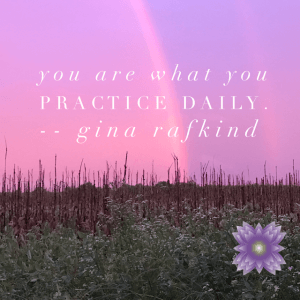 Remember it's your practice. And if you have things going on in your body and/or never tried yoga and/or health issues, be sure to check with the medical practitioners you work with before trying any new exercise regimen. Click the sequence name link below if you'd like to download the pdf for this sequence! Click here to snag Prepping For Parsva Bakasana sequence. Ps. Video shot at Elevate Yoga Studio in Hazlet, NJ.....come and visit! Pss. The video above is to show you what my version of Side Crow looks like. Please prepare your body using the poses in the sequence before trying this pose. I was already warmed up when I did the pose.